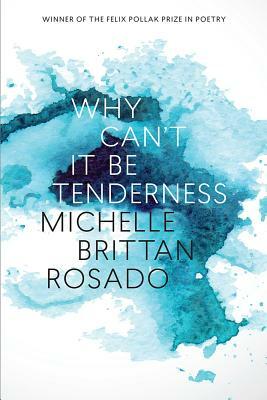 Bay Area poets Heather June Gibbons, Barbara Jane Reyes, and Randall Mann will read with Michelle Brittan Rosado, who will be in town to launch her debut collection, Why Can't It Be Tenderness. Michelle Brittan Rosado is the author of Why Can't It Be Tenderness, winner of the Felix Pollak Prize in Poetry (University of Wisconsin Press, 2018). She earned an MFA in Creative Writing from California State University, Fresno, and is currently a PhD candidate in Creative Writing & Literature at the University of Southern California. Charting a journey through schoolyards and laundromats, suburban gardens and rice paddies, yoga studios and rural highways, Michelle Brittan Rosado crafts poems that blend elegy and praise. In settings from California to Malaysian Borneo, and the wide Pacific between them, she explores themes of coming-of-age, mixed-race identity, diaspora, and cultural inheritance.